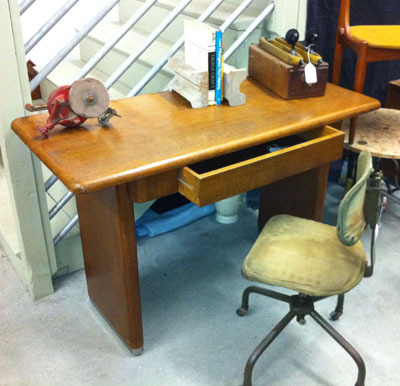 Smooth lines grace this vintage Stowe Davis Desk / Return. Circa 1960′. Crated in Walnut and in excellent original condition in cluding the chrome accents.